Skonnie is a progressive metal band created by Connie Yerbic and Sal Moretta. Skonnie Music is currently finishing a music project consisting of ten songs. Other projects include an innovative Amp Simulator with amazing tones and accuracy, music helps and tutorials for Indie Artists, as well as several long-term ventures. Skonnie Music actively promotes music to inspire, enrich, and touch anyone with challenges or medical needs, as well as music lovers everywhere. Skonnie Music is signed to UMG partner record label Sonorous Records for an upcoming music release. Skonnie Music was born out of a love of music and a desire to make a positive difference via music in new and unique ways. Sal and Connie left their former band and created Skonnie Music, a rock/metal music band, and also an Indie Music company with various music-related projects. The band is based in San Francisco, but Skonnie Music frequently travels between Europe and the USA. Skonnie features original music compositions and the technically impressive, melodically rich “pyrotechnic” guitar antics of Salvatore (Sal) Moretta, combined with the unique vocals, imaginative lyrics, and flute of Connie (Coco) Yerbic. 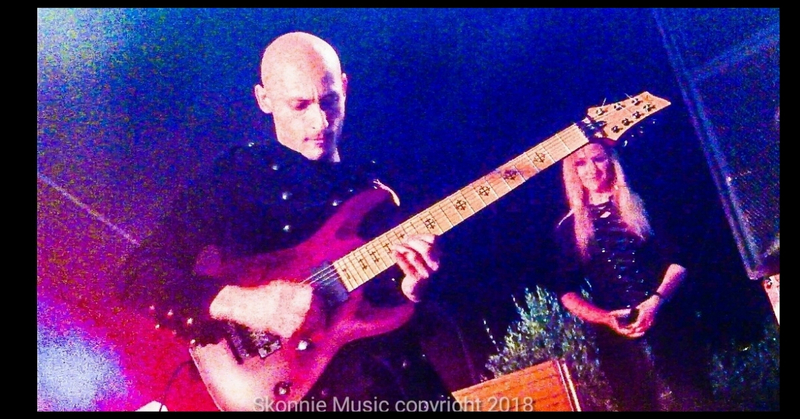 Skonnie Music is the perfect meeting of two musicians of diverse backgrounds and interests, who enjoy a mutual love for exhilarating guitar solos, powerful metal riffs and haunting melodies. In his youth, Sal first played keyboards before a good friend encouraged him to try guitar. Sal found he had a natural, all-encompassing passion for the guitar and never looked back. Sal spent considerable time each day focusing on truly becoming proficient in every aspect of classical, acoustic, and especially electric guitar. Soon he was immersed in the music of Malmsteen, spending hours mastering Malmsteen’s Neoclassical style and legendary solos. He has also been influenced by other guitar greats, among them Paul Gilbert, Steve Vai, Satriani, and John Petrucci. In his teens, Sal began to develop his own style, and now Sal Moretta’s unmistakable solos, melodies, and recognizable sound gives Skonnie Music its musical personality. Sal has three studio albums under his belt, has mentored other guitarists, and served as the regional guitar instructor of an area school district, for which he also arranged student recitals and public performances. Sal enjoys mixing songs in Skonnie Music’s studio, and is very knowledgeable on amp tone to obtain the best sound for each song. Connie Yerbic’s journey as a musician ranges from her classical training to interest in various musical genres. As a young girl, Connie was interested in playing the drums, but that was not an option at her particular school. This turned out to be fortunate. She studied the flute from the age of 9, studied music theory at a well-known Boston college, and trained in Salzburg, Austria exclusively under a master flutist. 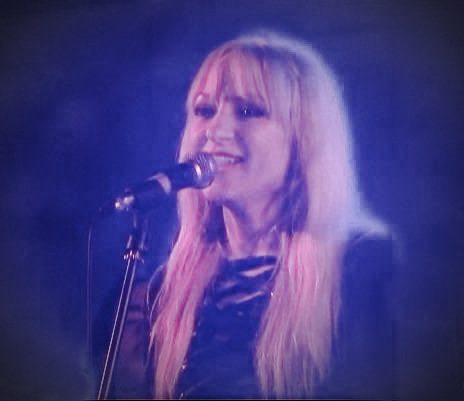 Connie’s professional rock music journey began as she filled in for the lead singer of a Boston band one night at a local club, then being asked to join the group. Connie Yerbic loves traveling and touring in such unforgettable locations ranging from Red Rocks in the USA to the Czech Republic and Italy. Connie enjoys experimenting with innovative vocals and demonstrating the versatility of the flute while also applying her creativity and love of writing to her songwriting and vocals. Both Sal Moretta and Connie Yerbic have professional recording studio and album experience, including working together on the creation of their band’s USA VEVO video, and recording albums in professional recording studios, working with Alberto Cutolo and Jack Garufi in Massive Arts Studios (30 Seconds to Mars, Lacuna Coil), and most recently, Johan Ornborg (Orphaned Land, James LeBrie) and Jens Bogren, (Arch Enemy, At the Gates, James LeBrie) at Fascination Street Studios. Join our mailing list today. We’ll send our latest band news, new song and video updates, and interesting music news. Plus, we’ll have exclusive freebies like riffs and tabs, useful music downloads, tutorials, and interactive events only available to our followers! No spam. Ever. Thanks for supporting Skonnie Music!